Since his genre-defining track, 'Ah Yeah!' 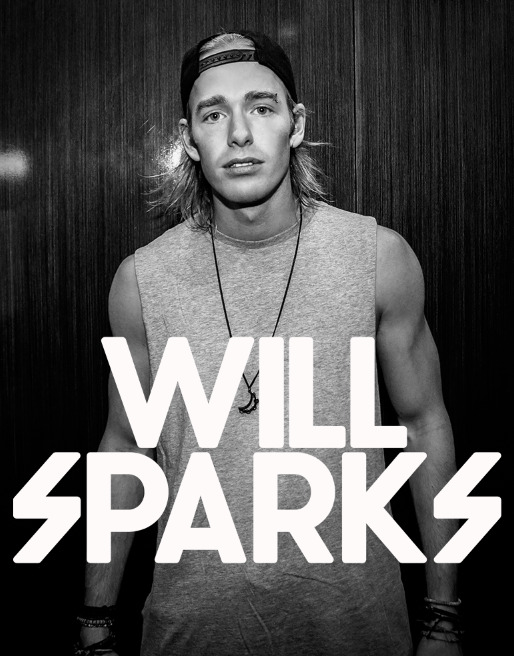 hit #3 on the Beatport overall charts at the tail end of 2012, it has been full steam ahead for the Melbourne-bred sensation, Will Sparks. At only 21 years of age, pioneer of the now globally renowned Melbourne Sound has seen more achievements in two short years than many artists see in an entire lifetime– having completed numerous international tours, gaining residencies at some of the most iconic clubs across the globe, set times at the world’s biggest festivals and performed countless sold-out shows on almost every continent. In 2013, Sparks was named Australia’s #2 DJ by inthemix, picked up the inthemix Awards gong for Breakthrough Artist of the Year, and was head-hunted to remix one of the biggest pop songs of 2013 ‘Blurred Lines.’ He has since been named one of Billboard Magazine’s most exciting young talents on top of landing himself a residency at XS Las Vegas, a gig at Jay-Z's 'Made In America' festival, a headlining spot at Paradise Ibiza and a set at the worlds biggest Electronic Dance Music festival, Tomorrowland. year old’s second release on Ultra Music/Sony Australia - the all-important follow-up to the wildly successful ‘Catch’ – one which truly announced Sparks as a force on the international electronic scene. His energetic electro-house beats with his own twist and praised musical talent have been supported by not only his hundreds of thousands of followers but some of the worlds most esteemed dance music artists. With a debut album in the making and more music slated for release over the coming months, including a debut album and collaborations with some of the biggest names in dance music, there are no signs of this superstar slowing down.